If you think you know everything Detroit has to offer in terms of outdoor exploration, think again. Although Detroit might be known as the “Motor City,” there’s more to this concrete jungle than meets the eye. Adventure enthusiasts and outdoor types should consider the city a stopping point if you’re exploring the nearby Great Lakes or are making your way across the state. Whether you’re a tent camper or you’re looking to rent an RV in Michigan with the help of a service such as Outdoorsy, consider the following five spots to check out. It doesn’t matter if you’re traveling solo or as a family: we guarantee that these sites will tick all the right boxes for you. Located right off of the Detroit River near the Canadian Border, this island park is an absolute must-see. Boasting both its own conservatory and aquarium, nature lovers have plenty to marvel at; meanwhile, there’s plenty of hiking and biking to be done to explore the parks near 1000-acre grounds. For those interesting in hitting the water, Belle Island recently introduced kayaking a few years back, an absolute blast to do with the kids. If you’re checking out Belle Isle, you’d be doing yourself a disservice by not also making a stop by the Anna Scripps Whitcomb Conservatory while you’re there, too. This urban park offers a uniquely Detroit experience for those looking for a taste of the city and some fresh air at the same time. Perfect for those who want to take a quiet stroll and check out the river, this is likewise a great place to get a close-up photo op of the city skyline. Make sure you check out the 63-foot Victorian-style lighthouse at the heart of the park: you can’t miss it. 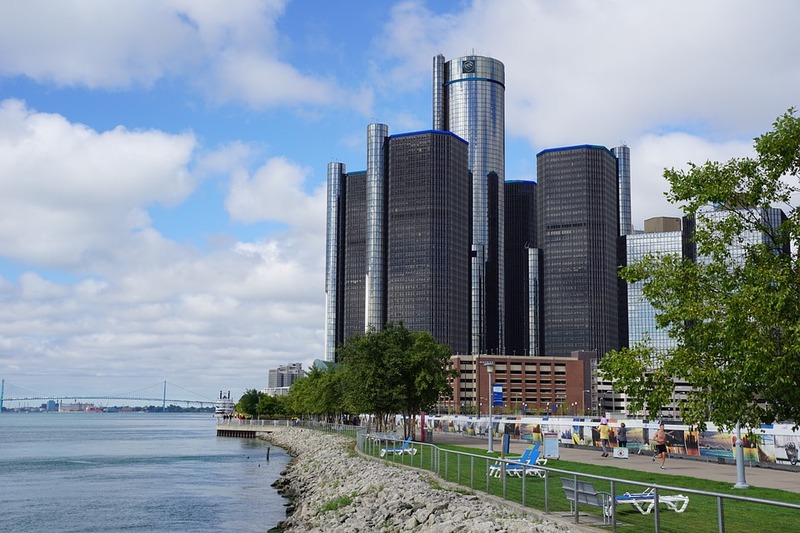 Located in downtown Detroit, this park represents a nice pit-stop for those looking to check out the city proper. The park is best experienced during winter, offering a green, lively contrast to the remainder of the city. In addition, Campus Martius’ ice-skating rink is affordable and picturesque if you know how to navigate a pair of skates. As part of Detroit’s historic Riverfront, the Dequindre Cut Greenway is ideal for those who want to hit the pavement. This two-mile trail offers a slew of sights for runners, bikers and trekkers alike, including colorful plant life and preserved graffiti murals. In fact, the artwork is so popular that the city offers its very own Dequindre Cut graffiti tour that explains the stories behind the paint. On a related note, the nearby Lincoln Street Art Park is a hidden gem for explorers who want to get outdoors and take in a bit of local culture. Built from an abandoned industrial site, this living and breathing art project is a peaceful spot and represents a one-of-a-kind viewing experience. Don’t discount Detroit as a stopping point if you’re a fan of the great outdoors. From adventure parks to breathtaking sights in nature, make sure to mark the Motor City on your map during your next camping trip. ← Ways To Make Extra Money That Work!